The International Labour Organisation estimates asbestos is the cause of over 100,000 deaths worldwide every year. In New Zealand alone it has led to more than 12,000 deaths. It’s important that New Zealanders fully understand the risks the fibre poses, so we can keep ourselves, our families, and our homes safe and sound. To clear the air and keep Kiwis out of harm’s way, we’ve busted 6 common asbestos myths. Busted: The International Agency for Research on Cancer has classified all forms of asbestos as carcinogenic, even in small quantities and over short periods of time. The New Zealand Health Department also has not defined any ‘safe’ lower limit, so it’s always best to assume that any exposure to airborne asbestos particles is hazardous. While it’s true to say that there is no stated asbestos PEL (Permissible Exposure Limit), there is the air clearance sample limit of 0.01 fibres per cc, which is, in it’s way, an “acceptable” measure of asbestos contamination in the air. The risk of developing an illness or asbestos-related symptoms increases with the length and severity of exposure, however it’s possible that even short-term contact could be harmful to your health. If you suspect there is asbestos in your home, don’t take any risks; call an asbestos testing professional right away. If you don’t know exactly what you’re looking for, you may not be able to spot asbestos. Busted: Since 1984, the importation of blue and brown asbestos in its raw state has been banned. However, until October 2016 there were no prohibitions on the importation of asbestos-containing products in New Zealand. Even today, asbestos regulations in New Zealand allow an importation permit for asbestos-containing materials, provided certain criteria are met regarding the intended use and management of the fibre. There are also no laws prohibiting the reuse of asbestos-containing materials in construction, so you should always be careful when purchasing a new home regardless of its age. 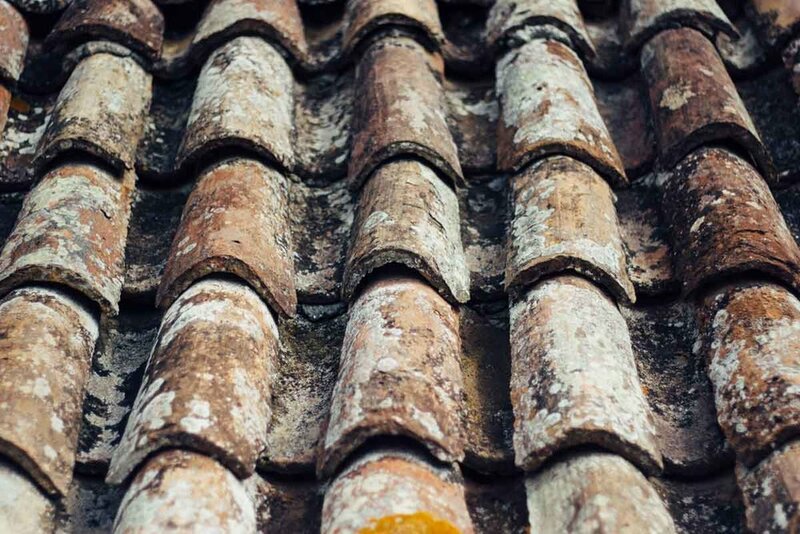 Busted: Asbestos is one of the most useful and versatile building materials ever created - It’s lightweight, durable, cheap, and resistant to water and fire. For that reason, it was used in the construction of many New Zealand homes from the 1940s right through to the 90s, leading to the current surge in professional asbestos testing in Auckland and across the country. Unfortunately, it was also combined with a wide range of other materials, giving it different colours, finishes, and consistencies - making it near impossible to spot unless you know exactly what you’re looking for. In many cases, a qualified asbestos testing specialist may be the only way to reliably detect asbestos in the home. Busted: Asbestos and asbestos-containing materials are not necessarily dangerous if they’re undisturbed and in good condition. When this is the case, asbestos removal isn’t always your only option. Sometimes it’s more cost-effective to leave the asbestos alone entirely, or encapsulate it within other materials to prevent its fibres from releasing into the air. To find out what’s best for your home, it’s a good idea to consult with a local professional to have your home tested, and produce a comprehensive asbestos management plan. Busted: Asbestos exposure is known to increase the likelihood of suffering several illnesses including mesothelioma, asbestosis, and lung cancer. If you are exposed, you may not show any symptoms of illness for as long as 10 or 20 years - worryingly, it’s possible to not be aware you have been exposed during that time. Asbestos isn’t something you need to worry about regularly, however if you do suspect you’ve been exposed, it’s always best to get checked by a doctor for peace of mind. It’s better to be safe than sorry when it comes to asbestos. Busted: If asbestos is in good condition and not cracked, dusty, or damaged (friable) you may legally remove under 10 sqm of the material yourself, provided you adhere to strict guidelines. However, if you’re not familiar with the material or lack experience handling it, you may not be able to identify whether it’s a hazard or not. If you don’t wear a mask purpose-built to filter asbestos fibres, or if you wear your mask incorrectly, you could also risk contaminating your home along with your own exposure. Furthermore, if you remove or dispose of the material incorrectly, you also risk increased exposure and contamination. Disposing of asbestos waste is, in most countries, a controlled activity. Asbestos must be disposed of as per all local, national and international regulations. No matter the size of the potential job, unless you’re experienced it will always be safer to use a professional for asbestos removal. Doing so ensure you can have peace of mind that you, your family, and your home are safe. Contact the team at Chemcare today if you need help or advice with any asbestos-related concerns. As one of Auckland’s leading asbestos testing and removal specialists, we know how to get the job done right. In many cases, a qualified asbestos testing specialist may be the only way to reliably detect asbestos in the home.